Three lamakers from the Coast model legislation on California's fight to prevent off-shore drilling. Oregon legislators this year want to permanently prohibit oil and gas drilling off the Oregon Coast although no one has shown an interest in poking a hole in the coastal floor. Despite a call from the Trump administration last year to open up the waters, the industry itself has no serious interest in exploring or extracting oil and gas under the Pacific off Oregon. "At this time, there is not a lot of chomping at the bit to look at production off the coast of Oregon," said Kevin Slagle, a spokesman for Western States Petroleum Association. Oregon's first moratorium on drilling took effect in 1989 after the Exxon Valdez oil spill in Alaska's Prince William Sound. Since then, state legislators have renewed it every decade, said Brian Doherty, a Portland attorney who lobbies at the Capitol for the petroleum association. Senate Bill 256 — sponsored by three coastal legislators — would make the moratorium permanent. Chief sponsors Democrats Sen. Arnie Roblan and Rep. David Gomberg and Republican David Brock Smith modeled the legislation after a law in California. Washington has no moratorium on oil and gas drilling, despite Gov. Jay Inslee's opposition to exploration off that state's shore. During a hearing in the Senate Committee on Environment and Natural Resources Tuesday, Roblan, the committee's chair, said the committee could send the legislation to a Senate vote soon. There was no opposition to the proposal during a hearing Tuesday. 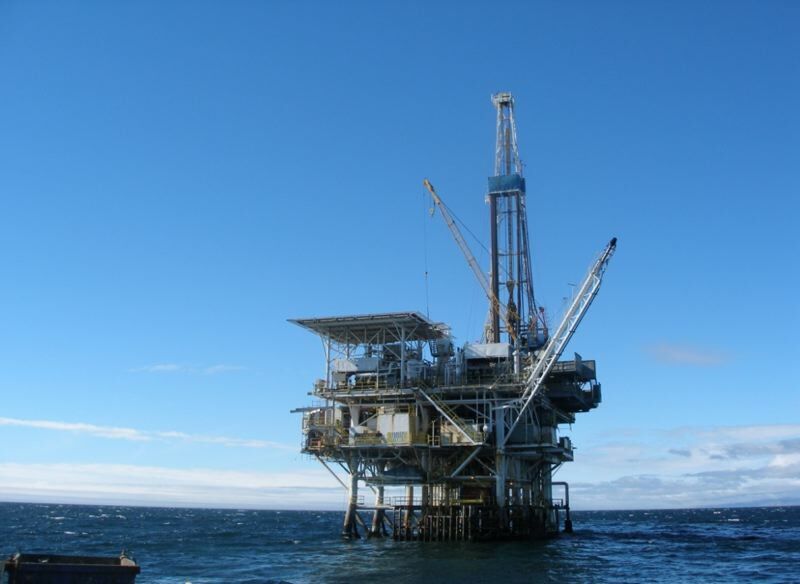 Oregon's estimated oil and gas reserves off the coast would meet nationwide demand for about a week, according to an estimate by marine conservation organization Oceana. On Wednesday, Jan. 30, Portland's City Council was also expected to support a separate city resolution to prevent drilling off the Oregon Coast. The Oregon Coast is not seen as a promising place to find large quantities of oil and gas, said Bob Tippee, editor of Oil & Gas Journal. For most companies, the cost of drilling would likely outweigh the potential for production, Tippee said. "I suspect most operators would find the risk excessive in relation to the potential reward," he said. Nevertheless, the proposal by the Trump administration has fueled debate over the moratorium. Gov. Kate Brown made it an issue during her campaign last year. In October, she issued an executive order continuing Oregon's ban for the rest of her term, which ends in 2022. "Oregon has been a consistent leader in environmental justice and stewardship, and legislative action is imperative in solidifying a prosperous future for our coast," said Jason Miner, the governor's natural resources policy manager, at a hearing Tuesday in the Senate Committee on Environment and Natural Resources. "Our marine fisheries, iconic scenery and pristine environment are true embodiments of what makes the Oregon Coast worth defending."